2011 went by so fast and just like most of you, I can’t believe it’s already 2012. 2011 was a good year f0r me professionally and an equally good year for this blog as well. Through this blog, I have met so many wonderful individuals, learned so much from them, and very grateful for their friendship. In 2011, this blog turned two years old and I was very happy to have passed another milestone. I am very thankful to all of my blog visitors, very grateful to many of you who have been regular readers, and appreciate those who have left comments. I am truly humbled and appreciate your support. To kick off this new year, I’d like to share the top ten most read blog post in 2011. 1.“Just say No”…the most read post of the year – my blog about avoiding the antecubital fossa when starting IV’s. 2. “Is there a difference? Osmolarity vs. Osmolality” – These terms have always been confusing. In infusion therapy, particularly with Fluids and Electrolytes and IV solutions, these two terms certainly have important roles and understanding each term will be helpful to us. 3. “The Phlebitis Scale does mean something..” – A blog about the two phlebitis scales nurses can use to assess the degree and severity of phlebitis. 4. “Infusion by Gravity Drip” – my blog on calculating IV rates for gravity drip..do you remember how? 5. “Nurses + Artificial Nails = Bacteria” – my blog about artificial nails and the potential danger for our patients. 6. “Calculating and counting drops” – do you still remember how to calculate and regulate IV drip by gravity? If you have forgotten, read this blog. 7. “Wearing gloves…is NOT optional” – a post about wearing gloves when starting an IV…yes, you should wear gloves!! 8. “Nurse…my IV hurts! !” – a blog about a legal case when a patient complaint about their IV site was ignored. 9. “Where’s the IV site?” – a blog about documentation of IV sites. 10. “Bevel up or bevel down” – a blog on how do you insert your peripheral IV catheter and includes the results of a survey poll. Happy New Year to all!!! 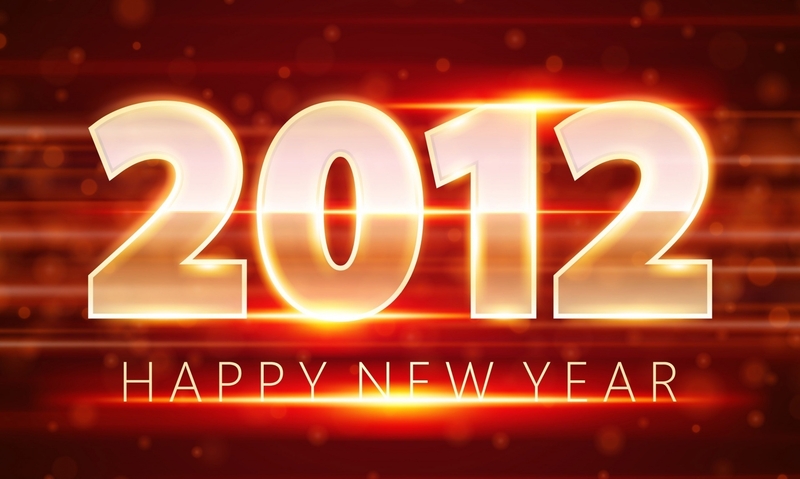 May 2012 bring lots of luck, happiness, joy, wealth, good health, and more blog posts!! Cheers!! ← Oh yes…it’s that time of the year…again! Thank you – so honored to be included! Happy New Yeat to you as well!! Just wanted you to know that I’ve enjoyed your blog immensely over the last year. I’ve been a DON for several years now in a skilled nursing facility, and one of the things I’ve really prided myself on over the last several years, is getting all my LPNs IV certified. Your posts have been an inspiration to me to NOT to lose the skills that I gained over a decade of ICU nursing. Thanks a bunch! Thank you so much for your comment, I really appreciate it! Keep up the good work!! Happy New Year! My IV infiltrated (solumedrol) and I am wondering if what seeped into my arm will yield any medicinal benefit or if it’s like not getting anything at all? Sorry for the delay. Please see my post on “My IV infiltrated” for my reply. Thanks for your comment.